NovaFirefly: AG and other dolls to love! I have so much to love about AG, and so much to dislike. But, that’s alright, since it’s opened my eyes to a whole new (doll) world! Here are some shots of her from when I first deboxed her. Nanea! She looks a bit like a Wellie Wisher… but she is so adorable with the new face mold, that I believe she is going to have to be added to my collection (most of which is sadly in storage right now. Hopefully will be remedying this in the next 6 months or so). I love quite a bit of Z’s collection (since I got to see it reviewed by AmericanGirlIdeas a few days ago… really behind on reading blogs lately). I am not sure that I will actually get her though, I may, once I’m in a place to have all my dolls again, make her out of parts and a bald Ivy head that I have, since I’m not at all fond of her wig. Logan: Was disappointed when I saw him in store. I had the intention of bypassing Tenney in favor of him before visiting AG DC, as I needed to get the first AG boy doll! However, upon getting to the store, I discovered that I disliked how skinny I felt Logan was, as well as being unhappy with his hair. I have a few other dislikes, but they may be different per doll, since we all know not every doll is identical. I plan to get some of his clothing (after it’s released), but I think I will continue to make my own boy dolls for the foreseeable future, until the quality goes up. 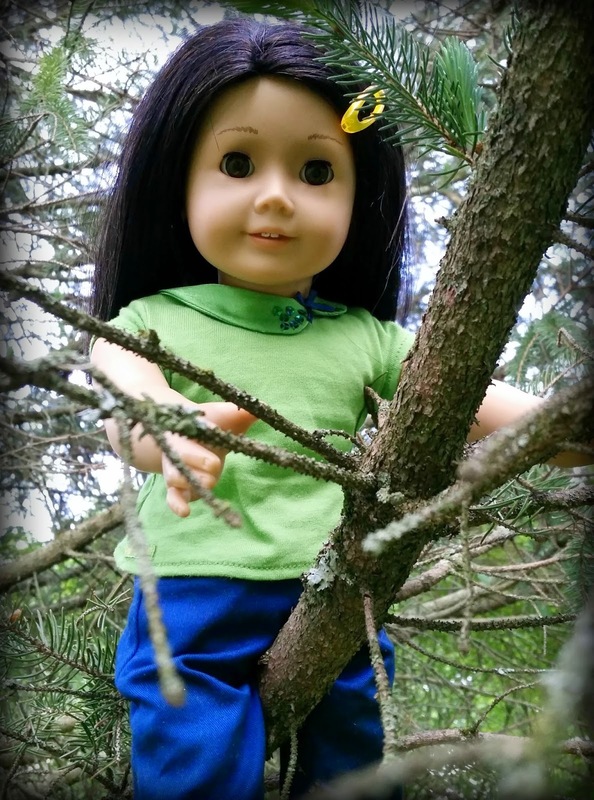 Z doll: from the pictures and reviews I’ve seen… the only complaint I have is wig quality. Before, the wigs were full of hairs to cover wefts when in pigtails… not so with Z. Now that the permapanties are no longer an issue... I can honestly say I'm looking forward to working with the brand again though. I am finding myself falling in love with some of the dolls from A Girl For All Time. I just purchased Matilda from Ebay (since she is no longer for sale), and am saving up my tip money to get Lydia next. I am not in love with all of the dolls from this line... but it is giving me another type of doll to look for/collect. I’m also starting to look at Tonner dolls (the Tonner Wild Imagination type), Carpathia dolls, and some of the other new brands coming out. I will be reviewing some of the clothing I've bought from various sellers on Etsy soon, as well as the incomplete Hearts 4 Hearts doll I recently got for a project I'm doing. Looking forward to blogging more later! My name is Iris Spencer. 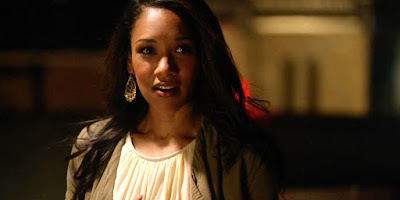 I am 17 years old (well, that's what I've determined, after talking to the other dolls about how I feel, age-wise), I love to write, and my favorite show is the one I picked my name from, The Flash. Jaelin, the original author, is currently unavailable. That is a long story but I suppose I should probably share it with you, since this is her baby (the blog, or course). Our human (who some of the dolls call Momma, and the rest of us call by her user name or real name), sold her house and moved in with friends, so that she could save up for another house. She had to put a lot of us in storage, and we all talked about who would take a long nap, and who would accompany her. I was one of the 4 who got to join her. Jaelin said that she was alright taking a nap, and asked me to revitalise the blog, and to start it up again for her, until she can join us again. Our human, who goes by NovaFirefly (previously NovaBabe), has asked if she can share our blog. She had her own, but felt it best to leave it behind, as it had memories she'd rather forget. She says that she will move over some of her posts, since everyone liked them, but she would rather share with us. As such, we will be labeling the post titles, so that you know who is posting this week. 1) Someone will be posting either weekly or bi-monthly. 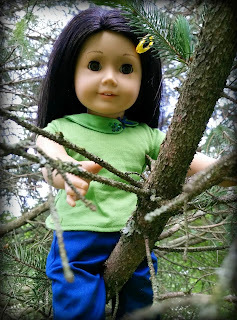 2) We have had a new doll join us, though she's not ready for her debut yet. She and NovaFirefly will be discussing some changes to make her more comfortable... she doesn't just wanna be another young country singer, like the others she was chosen from, though she has become fast friends with Delia June, and they do tend to listen to country music together quite a lot. 3) There are likely to be more than just doll stuff posted, since our human has 2 dogs, and her crocheting and reading obsessions. But, you know, I have been looking for a creative outlet, since standing on a dresser all day does get tiresome. At least I'm enjoying my gypsy outfit that our human got last week... hopefully she will take pictures soon... because it's gorgeous! Looking forward to blogging more and getting to know everyone!